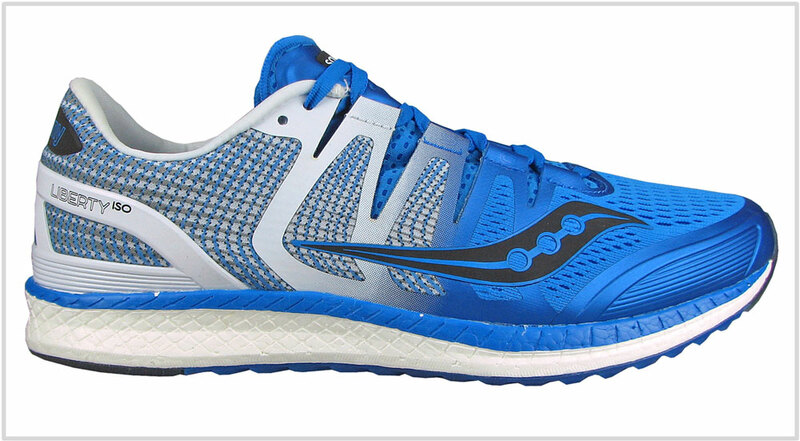 Good running shoes aren’t cheap; at full retail price, a pair is easily above a hundred dollars. And if you wanted something fancy – say a running shoe with the latest knit upper and midsole tech – a price of $130 ~ $180 is the norm. When you spend that kind of cash, you want your running shoe to last long. But there’s no telling how long a shoe will last unless you accumulate mileage. That, or if the model has been in the market long enough for other users to review. So without any history, how does one go about choosing a durable running shoe? We’ve curated a list of durable shoes, but like all our buying guides, we’ll lay out the criteria first. You can apply this thinking to any running shoe you buy, and you’ll likely end up with a product which exceeds the industry mean on longevity. These findings are based on thousands of hours of shoe testing by solereview and independent reader feedback. 1. The upper: Decoding the estimated lifespan of the upper is difficult for several reasons. At a very basic level, the materials used – be it the mesh or the synthetic overlays – must flex and have a certain amount of thickness. But what’s of greater importance is the working relationship between the materials used on the upper. Even an upper made of thin materials can be durable – as long as it gets a couple of things right. The first is the absence of friction between materials, and the second is the lack of pressure points. This can be made clear by a few examples. If your big toe touches the spot right where the stitched toe-bumper (if applicable) and the mesh meet, there is a chance that a tear could develop. This often happens if the toe-box mesh is thin and lacks an inner lining. Certain brands use a backing fabric to reinforce this area, and you can feel this by inserting your hand under the toe-box. Other shoes skip the lining and rely on a thicker base material or an inner sleeve instead. Some shoes use stiff materials around the last two rows of lacing closer to the heel. We’ve come across cases where this portion tears prematurely due to friction. There are a few cases of the heel counter lining coming apart, but that’s usually due to improper (shorter) sizing. Lacing eyelets rarely tear these days. But if you want to be sure that this doesn’t happen, just turn over the lacing panel to check for an extra layer of reinforcement. And remember, the upper durability is also influenced by how it fits the runner. So it is important to buy the right size and leave enough room in the front. In many cases where the heel lining tears too soon just means that you’re wearing a size smaller. 2. The midsole material: The lifespan of the midsole will depend on three things – the compound, the density (firmness, softness), or a combination of both. Polyurethane, PEBA, and SBES based midsoles will last longer than EVA (Ethylene Vinyl Acetate) ones. 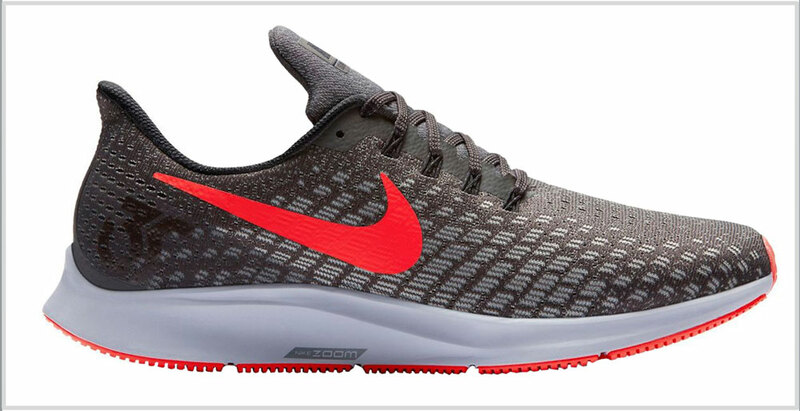 Polyurethane (PU) is used in two forms; a poured kind like the one used on the Puma Ignite and the Brooks Levitate, or the recently developed variety called the E-TPU. 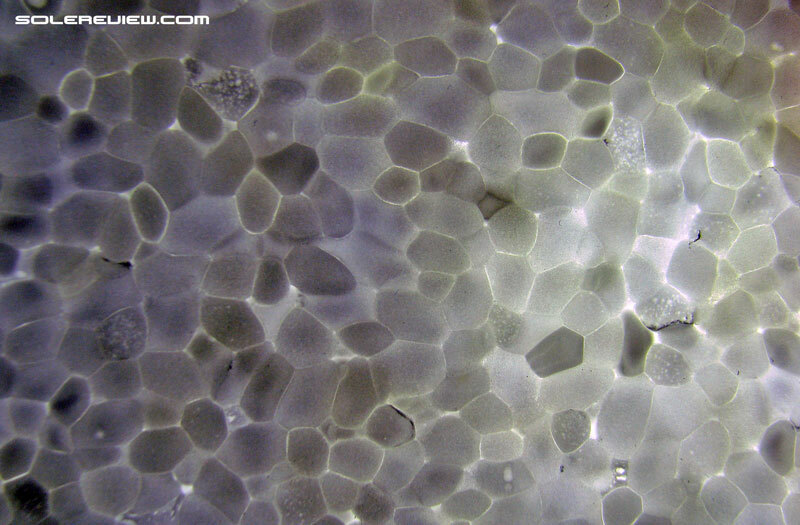 Both materials have a higher resistance to abuse from repeated compression and temperature, making them extremely durable. E-TPU is commonly known as Boost from adidas or the Saucony Everun. Standard Polyurethane midsoles can be distinguished from EVA with the help of a few visual cues; read this solereview article for more. The Brooks Levitate also uses a Polyurethane midsole. The Nike Epic React uses SEBS polymer, otherwise known as synthetic rubber in plain-speak. The Epic React’s midsole and the upper are durable but you won’t see the shoe on this guide. That’s because most of the outsole is foam. Since the Epic’s traction is average to begin with, even minor wear decreases the grip quality. Reebok uses PEBA (Poly Ether Block Amide) and e-TPU foam on its Floatride running shoe line. We currently don’t have enough data on their long-term longevity (not the foam but the shoe models) so we’ll leave them out – for now. EVA midsoles are ubiquitous and form the majority of running shoe midsoles. Though not as durable as newer foams, most last reasonably long. That said, there are a few things you should know. Softer the EVA midsole, the shorter its life. A softer density EVA midsole is more likely to lose its cushioning properties sooner than a firmer kind. Besides the firmness, midsole inserts such as Nike Zoom Air (like the one inside the Pegasus 35) will increase cushioning durability. At the same time, Nike’s Lunarlon – which is said to contain a blend of EVA and rubber – is notorious for its low lifespan. So a Nike shoe with a significant volume of Lunarlon is going to be at the bottom of the durability ladder. That said, Lunarlon isn’t going to prove worrisome in 2019. Most of the Nike assortment is transitioning to the more durable React and ZoomX foam. 3. 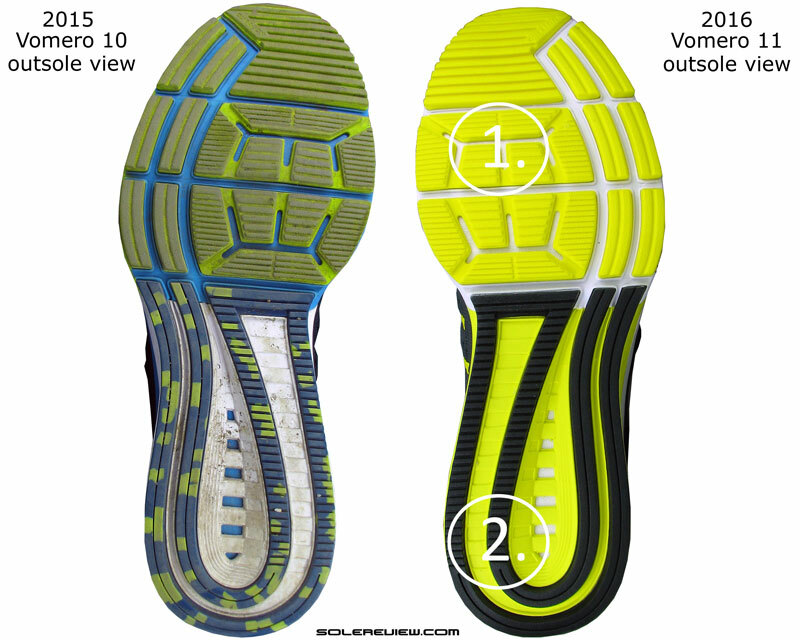 The outsole: In a majority of cases, the rubber outsole is the first point of failure. You might have a perfectly good upper and midsole, but have the outsole ground into wafer-thinness after a few hundred kilometers. Three things matter when it comes to outsole life – the rubber material, the layout/geometry, and whether the lugs flex along with the midsole. A running shoe which uses only hard rubber for its outsole will outlive a model which uses a mix of soft blown rubber (forefoot) and a harder rubber under the rearfoot. The second factor is that a flatter and full coverage outsole will last longer than a design which uses prominent lugs and split sections. Outsole lugs which stick out take the brunt of wear and tear, as opposed to a flat profile outsole which spreads wear and tear more evenly. 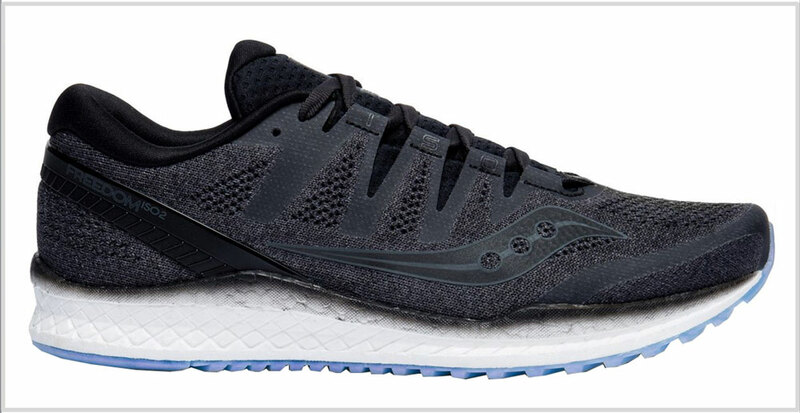 Needless to say, you’ll get a higher outsole mileage from a shoe (cue Saucony Freedom and adidas Glide) which uses a hard rubber compound arranged in a flat profile. 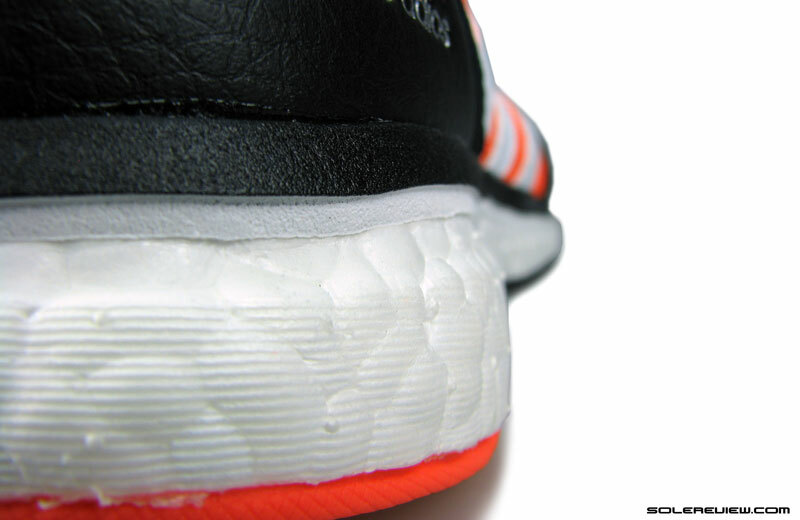 You’d also be surprised at the extent of positive effect a flat outsole has on durability – even with soft rubber. 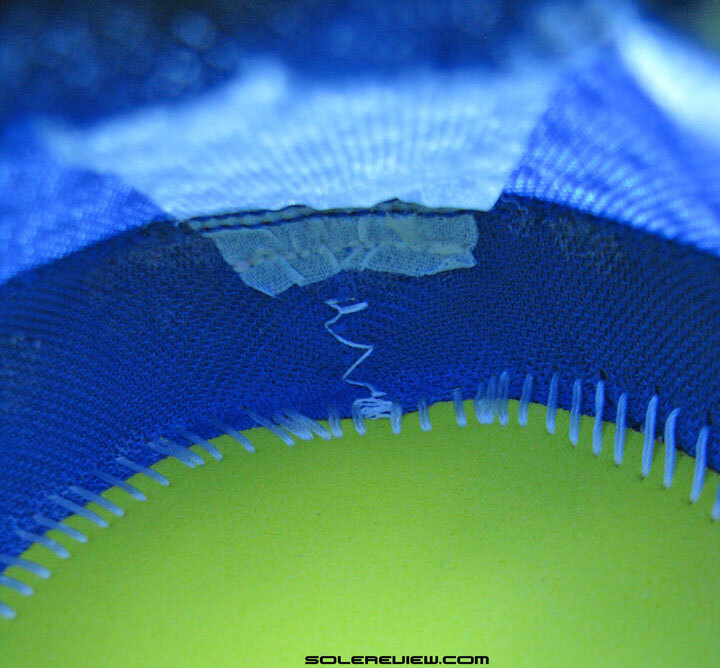 At times, the outsole lifespan depends not on the material but in the way it behaves together with the midsole. Though the Pegasus Turbo is not on this list, it is a good example of what we mean. The Turbo uses a thin outsole which flexes along with the soft midsole. This slows down the rate of wear and tear. When you go through the shoes on this guide, you’ll see that they satisfy most of the selection criteria. 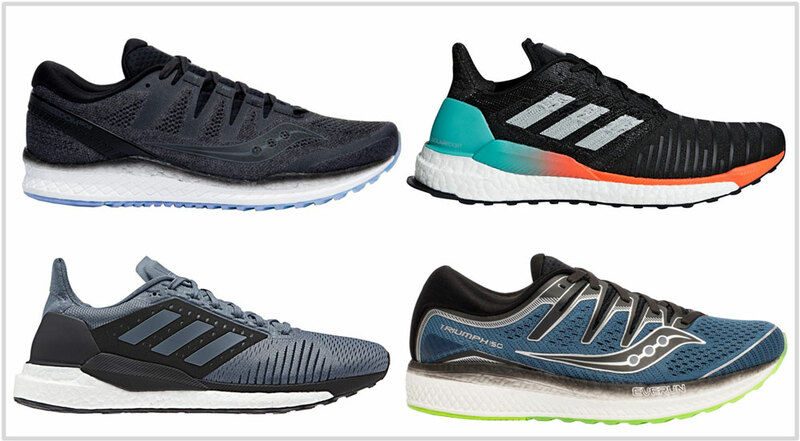 Though adidas sweeps this list clean due to its use of the Boost E-TPU midsole and Continental rubber outsole, there’re a few other shoes worth a mention. Under normal usage conditions, these shoes will last at least 400 miles. Unless you’re a heavy runner living in a warm country, most of these shoes will give you 600 miles without loss in performance. The ‘Solar’ line-up is a reset of adidas’s previous-gen Boost assortment. 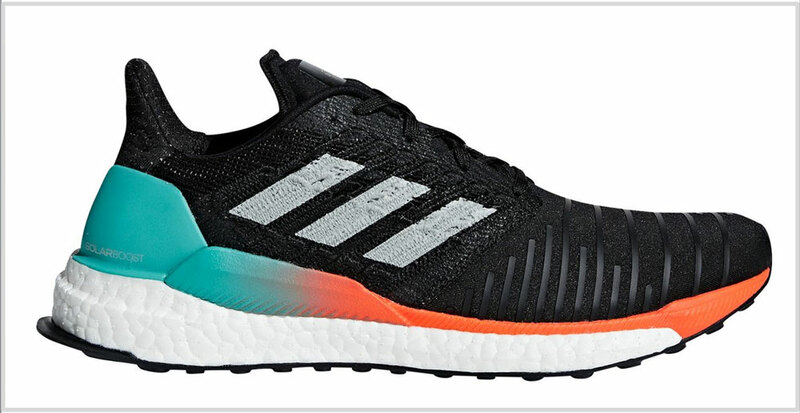 The adidas Solar Boost is the unofficial replacement for the Energy Boost. And like the Energy, the Solar Boost retains the two components which makes it very durable – a Boost midsole protected by a large sheet of Continental rubber outsole. The upper is made of a thick mesh and knit panels for superior structural strength. 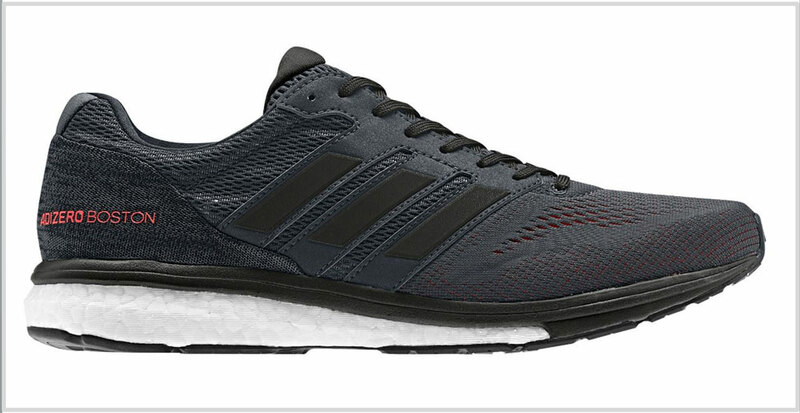 Also see: The adidas UltraBoost 19.
adidas botched up the Supernova Glide replacement process last year with the mediocre Supernova. The brand tries to make amends with the Solar Glide. The new Glide uses a stack of an EVA foam rim, Boost, and a Continental rubber outsole. With this set-up, you can expect a lifespan of over 400+ road miles. The Solar Glide ST is a mild stability shoe which replaces the Supernova ST. The layered upper is durable, and so are the parts attached underneath. 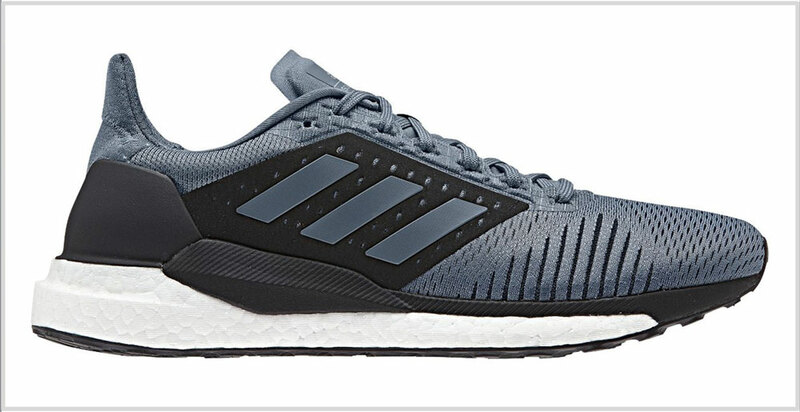 A combination of Boost and Continental rubber makes up the shoe’s midsole and outsole, thus giving it a mileage advantage over other running shoes. 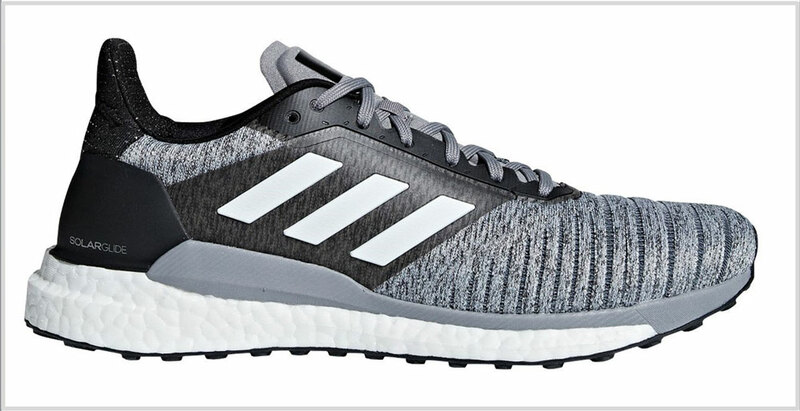 The adizero Boston has been a popular choice for runners who want an ultra-durable shoe without the structured build of heavier daily trainers. The upper fits narrow yet is breathable, and the lightweight Boost midsole provides durable cushioning. The outsole is formed using a large piece of Continental rubber which extends the Boston’s lifespan. Last year, Nike’s popular daily trainer got a major update. The Pegasus 35’s midsole is now equipped with a full-length Zoom Air bag which improves the cushioning durability over the last model. The upper is well put together like always and will outlive the shoe. 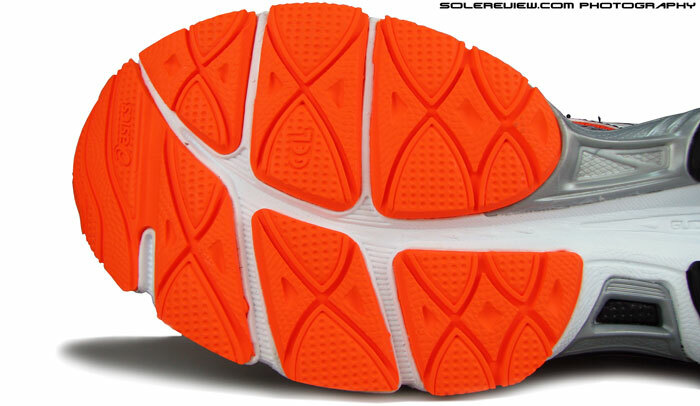 The outsole uses Nike’s proprietary rubber blend which is very durable. This is the same outsole which makes the Freedom and Liberty durable. 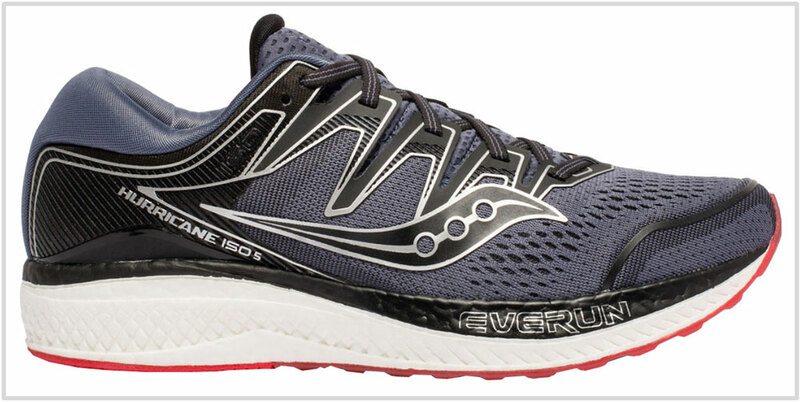 And since the Triumph already has a full-length Everun midsole and an over-engineered ISOFIT upper, the new outsole is no longer the weakest link. The Everun midsole is made of the same e-TPU material as the adidas Boost and will outlive the rest of the shoe. Just like the Triumph ISO 5, the new Hurricane ISO 5 gets an outsole made of Saucony’s crystal rubber. The combination of the layered upper, the durable Everun midsole and the updated outsole helps the Hurricane exceed the median lifespan. The medial post is made of firm EVA foam but it is topped by an Everun layer which takes the brunt of weight loading. This Saucony model gives you the Freedom from having to replace running shoes often. The firm Everun midsole will outlast the shoe, and the hard transparent rubber outsole takes all those hard running miles without complaint. The ISOFIT upper has a smooth and secure fit quality. If a cushioned, low heel drop, and a durable trainer is what you seek, the updated version of the Saucony Freedom checks all the right boxes. The Liberty ISO is similar to the Freedom ISO, except that it has a small ‘stability’ post – if you can even call it that. The low-profile, 4 mm drop midsole is made entirely of the responsive Everun foam. The latter is paired to a snug yet comfortable fitting upper with an ISOFIT closure system. Like the Freedom, the Liberty ISO has the winning combination of Everun and a hard-wearing outsole so it scores at long-term durability.